Meat birds on the farm. Out to pasture, and moved to fresh grass every day. It’s funny that it bothers me that I still have a hard time leaving a ‘Mohawk’ of untouched grass between the path of the two pens. I used to catch it when I did that back home mowing the lawn. It took them about three days to realize the place to be was at the leading edge, that’s where all the bugs were. It’s cool to see them really forage for a portion of their feed. And they are eaters, although now that they are on grass, they aren’t as voracious. Feeding time was getting to be a bit like feeding a shark tank. Here’s what they were like a few days before they went out on pasture. 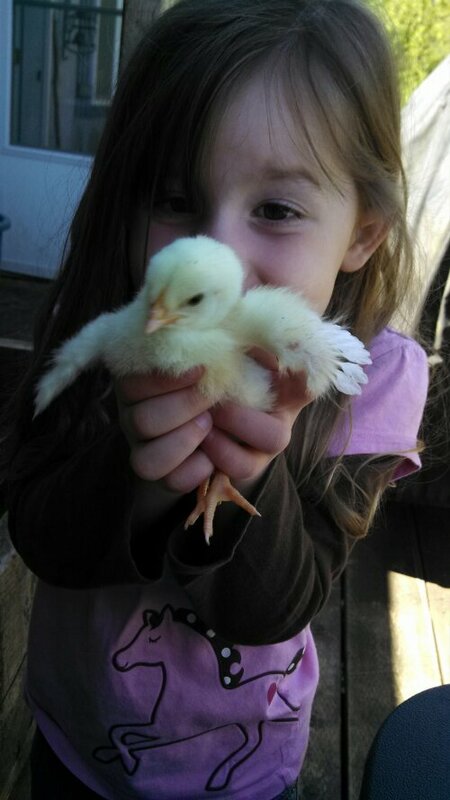 This entry was posted in Critters, Farmer Adam, Farmer Joscelyn and tagged Chickens, Organic, Pastured Poultry, small scale farming on June 18, 2013 by adalynfarm. Thanks for the kind words Lara! Oh and seriously, check out the recipe at the bottom of her post, and leave her a comment while your at it! This entry was posted in Critters, Farmer Adam, Food and tagged Chickens, local produce, Pastured Poultry, small scale farming on September 7, 2011 by adalynfarm. What a trip it has been! From re-learning all the baby routines to helping a big sister learn that it’s not all about getting to be a ‘little mommy’. Now that she’s 2 her independent little personality is coming out. As if you could have guessed it would go any other way. She is learning to hold her own in conversations as well. Her vocabulary went past 300 some time ago and we have focused on more important things… Like trying to reason with her about her diaper. I don’t think Joscelyn thought she would be trying to reason with a two year old who takes her own diaper off during nap if it gets wet. Joscelyn walked into her room the other afternoon to find her standing in her crib, holding a wet diaper and saying “doaking wet Mommy. It doaking wet, I know.” Hard not to at least smile. She is still talking about her finger the chicken pecked to get the bread.. This entry was posted in Farmer Adam and tagged Birthdays, Chickens, Farm Photography, Kids on April 16, 2011 by photobby. Well not exactly. But close. Sometimes really close. But back to the time thing. So as usuial it took about 8 min to pluck each bird…. I had seen some videos on YouTube of a “WhizBang” chicken plucker, 30 seconds? I like that idea! Even if it did cost $100 or so in parts and an old free craigslist washer. What got me thinking was that some of the folks said they spent 12 to 25 hours building it… I could hand pluck a chicken in 8 min, in 25 hours that’s ~180 chickens… I don’t know that we will ever grow birds for anyone but us. Even if we did use 25 to 35 birds a year, that’s 5 years worth of birds. Kind of a “pay now or pay later” idea with the time. Plus I would have to find a place to store the thing…. And it’s not like a honey extractor… Nothing can do what a honey extractor can do. You can’t “hand extract” the honey. You can hand pluck a chicken. Now if I think I could DIY together in 3-5 hours? Then we would be in business…. This entry was posted in Critters, Farmer Adam and tagged Chickens, farm photographer, local produce, Pastured Poultry, small scale farming, Stanwood on October 26, 2010 by photobby. One of the names we considered for our farm when we moved in was “iron wheel farm”. There were four or five of these old steel wagon wheels. They are about 3′ tall and weigh a ton. 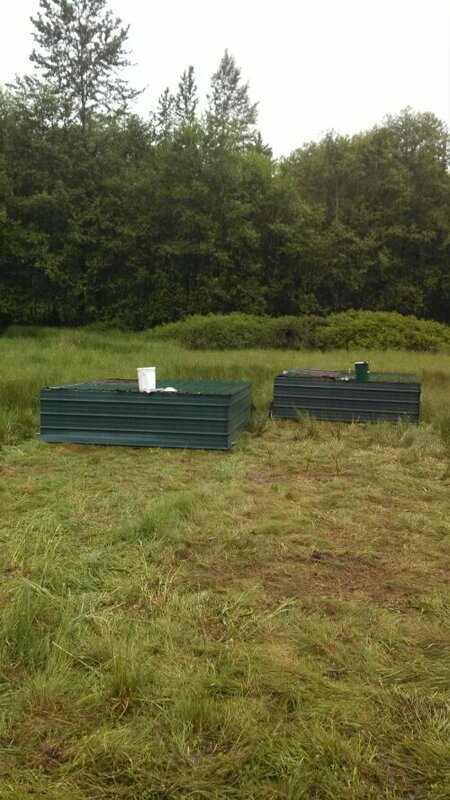 One of the challenges I have had is trying to figure out how to move animal shelters around the property. Without a proper tractor, ti’s a bit of a no-go, but I think with a bit of re-design work, I might be able to incorporate two or four of these wheels in a coop or loafing shed design and make it something I can drag behind our riding mower. To say the solution has been kind of staring me in the face is a bit of an understatement. If I can work out the details this could be a real boon. I am part of the way complete on a new coop and would be able to move it around the pasture. 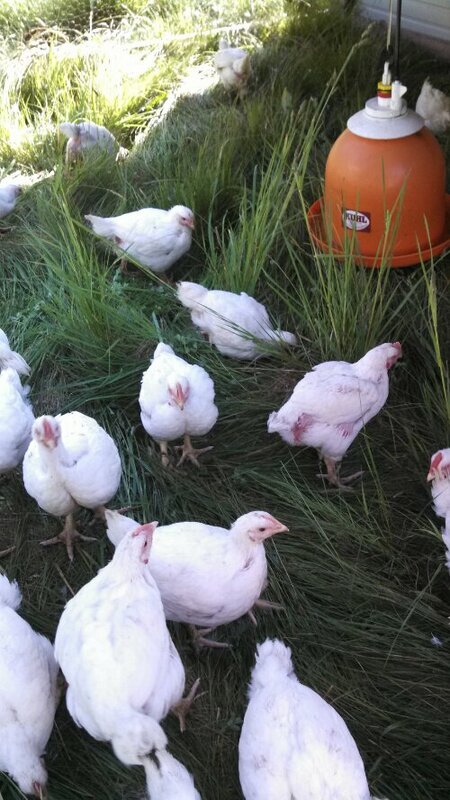 With a little bit of electroplastic netting from Premier 1 Supply I cold put the chickens out to pasture in the orchard or garden (to scratch up bugs and spread fertilizer. If this all works out you can be sure there will be photos following! This entry was posted in Buildin' & Fixin', Farmer Adam and tagged Building, Camano Island, Chickens, Hen House, Pastured Poultry on May 24, 2010 by photobby. 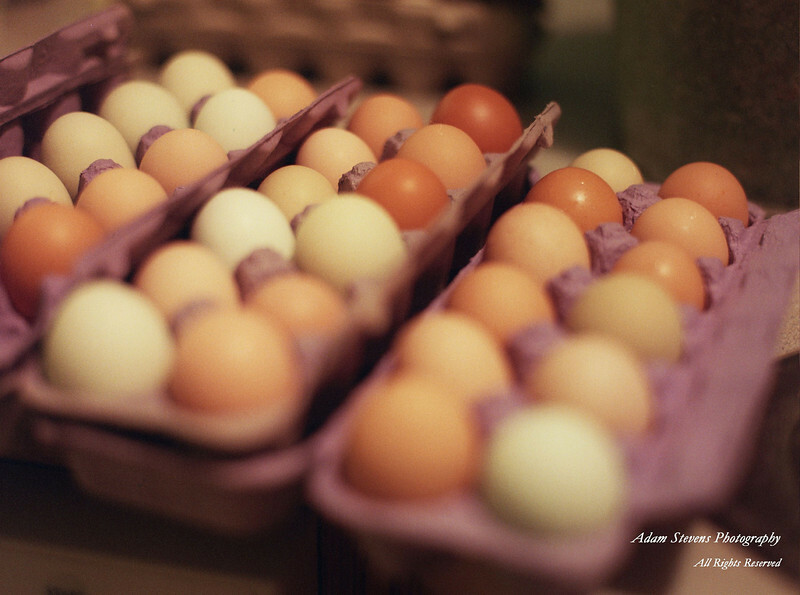 Here are a few of our farm fresh eggs. I will say it’s nice to only have 5 to 8 a day. Not the 18 to 24 a day of last year. Again there I go with the film… Shot with my (snif) Mamiya 645. Sometime last year… I have a few more film shots to put up, and then I will be done for a while. Really. I mean it. That’s right. Shot and scanned and that’s it. No post (well except for the watermark). Oh and while you are at it, take a look at the Seed Savers Exchange (we get some of our seeds from them). 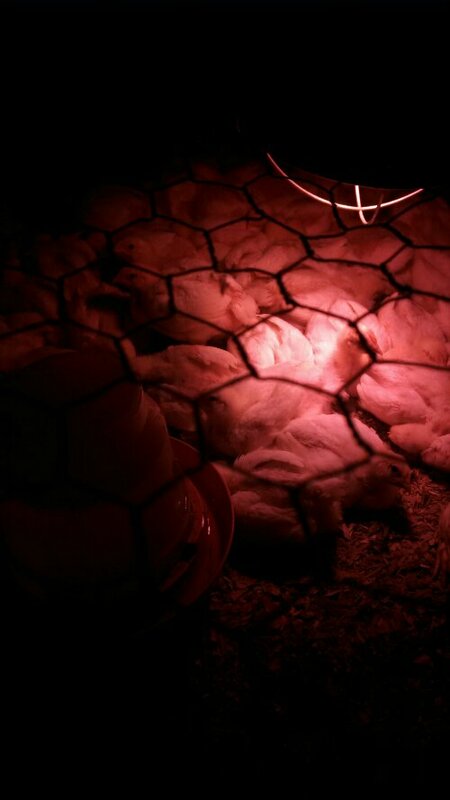 They have a really informational post about raising chickens in the city, with two really good links at the bottom to other resources for “urban poultry”. This entry was posted in Farmer Adam, Food and tagged Camano Island, Chickens on May 20, 2010 by photobby.